Shank's Mare's 2018 Dining & Learning Series is themed "Myths, Mysteries & Revelations on the Susquehanna". Welcome photographer Stephen Pidcock as he brings the many faces of the Susquehanna to life with his collection of landscape reflections. 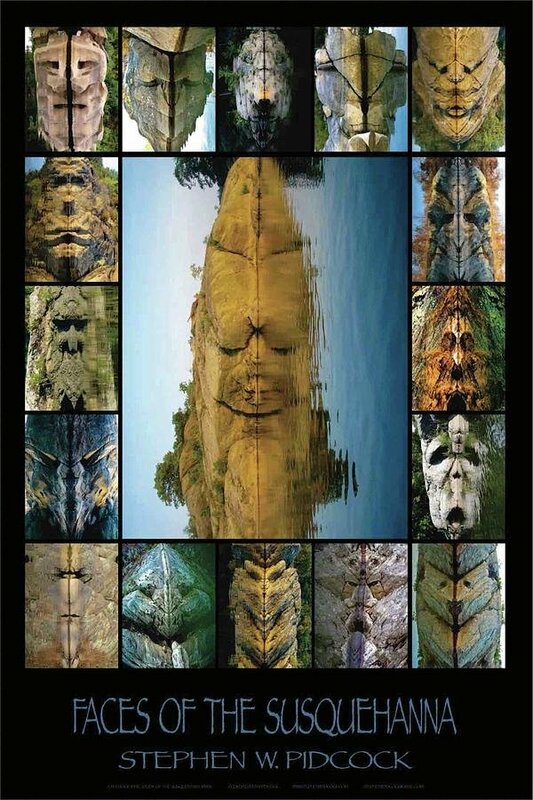 When viewed vertically at a slightly different perspective, they reveal a slew of rock "faces" reflected in the waters of the Susquehanna. Sometimes eerie or humorous, sometimes forlorn, it is a joy to reflect on each unique face and mood of the river. Steve will tell us about his faces and how he captures each look as he paddles the river and finds the inspiration for his work. Come in and check out Steve's Faces of the Susquehanna posters on sale at Shank's Mare for a glimpse on what is in store for you with this presentation. Enjoy dinner in The Rookery and then Steve's fascinating glimpse into his unique art.